Great picture, Marina. You live in a beautiful state. Stunning, Marina. No words necessary. Such a pretty picture! Thanks. 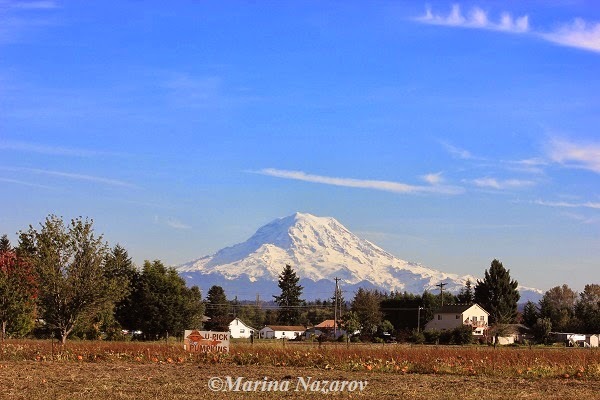 Beautiful photo Marina - must be incredible to live near such sights, seeing this vast mountain rising up on the horizon!